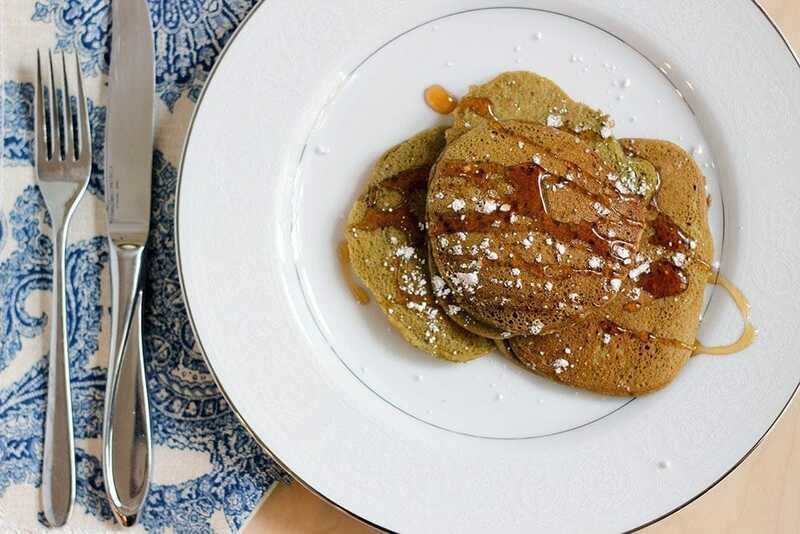 A green tea pancakes recipe is a super treat for Matcha fans. We used the batter from our Matcha cupcakes to make pancakes. Since Matcha green tea powder contains caffeine, you may even consider this an energizing breakfast. You might want to adjust your coffee intact accordingly. Pancakes are a rare treat in this house. Mike isn’t a big fan of breakfast, while I would eat it for dinner if I had my way. That’s one reason why making a huge batch to freeze them appeals to me greatly. When Shelley and I made these green tea pancakes at my Gram’s house, there were enough for all of us to freeze and take home for later. To me, the pancakes do not have an overwhelming tea flavor. If you like Matcha, you probably will think it’s just right. However, if you don’t like the flavor of green tea, that’s all you’ll taste. Kind of like me with onions. People who like onions say “Oh, you won’t even taste them!” When in reality that’s all I will taste. Trust me, I know the rules of the Picky Eaters Club. The texture of the pancakes is light and fluffy. Overall, as a Matcha fan, I love these pancakes. Shelley prefers them with powdered sugar. I like them with butter and syrup. They are also tasty enough just to heat and eat. If you are looking for another way to use Matcha green tea powder, give this recipe a try and let us know how you like it. Be sure to visit our other Matcha recipes, as well. 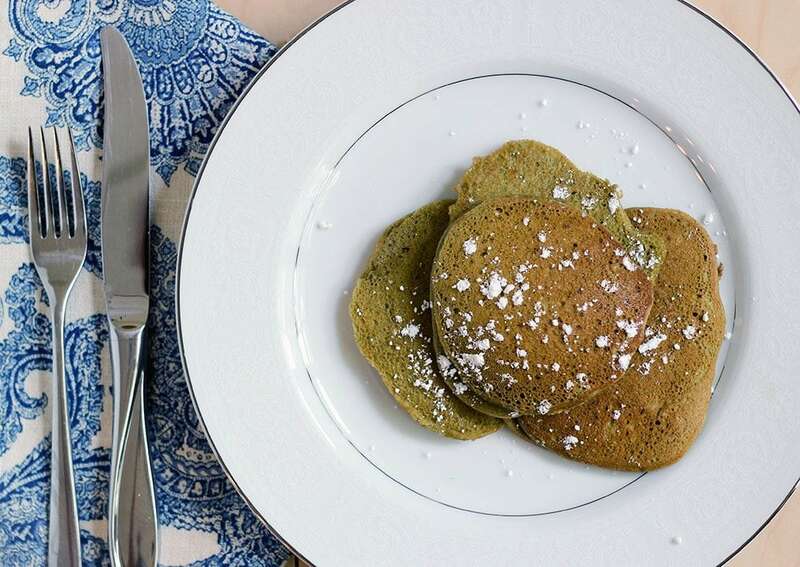 Energize your morning with matcha pancakes. Scrape the vanilla bean to get the seeds out and add to a small bowl. Add sugar to the vanilla bean seeds and stir. Press the back of a spoon against the beans to break them up a bit. Add the sugar and vanilla bean mixture and combine well. Add in the rest of the ingredients in the order they are listed above. Mix on medium speed. Add a little butter to the pan before pouring batter. Pour batter into the size you like for pancakes. Heat each side for about a minute before flipping. Serve with powdered sugar or syrup. Freeze leftovers in a freezer bag with wax paper separating each pancake. 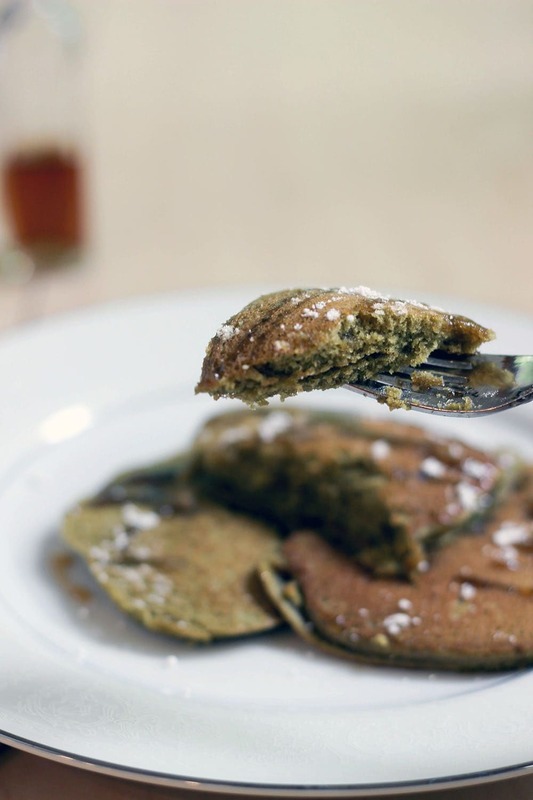 Green pancakes can be a fun holiday treat. We explain why the batter isn’t all that green in the Matcha cupcakes post. If you want to make true green pancakes, try using egg whites. 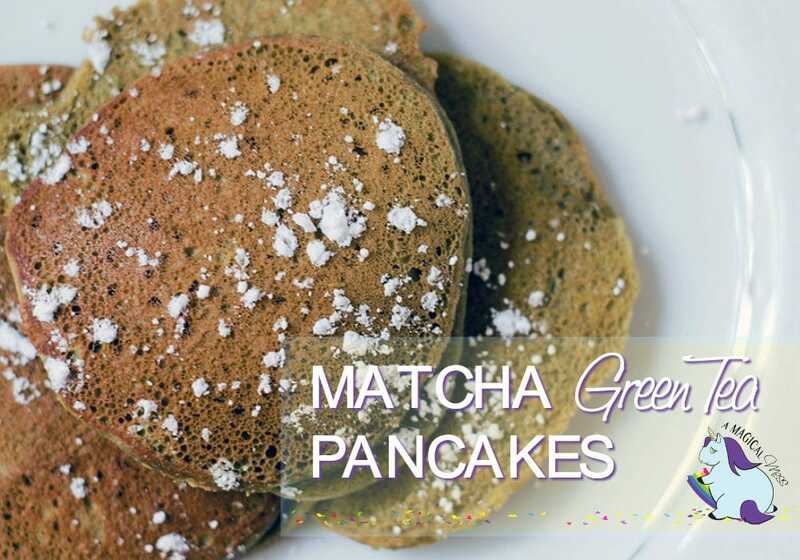 Do you think you would like this Matcha green tea pancakes recipe? I’ve never tried matcha tea – in any form. Might have to give it a try. (I love onions). I haven’t tried Matcha Green Tea, but I keep seeing recipes with it online. I guess I need to try it! These sound delicious. I am not familiar with the flavor of Matcha, but I love using whole vanilla beans. i want to try these matcha panacakes they look amazing and are very healthy. i feel like i would be very energize during the day . I love matcha tea, I have never tried the pancakes though. I will be trying these, pinned the recipe! I love this recipe! I like the caffeine factor as well. Thanks! I never would have thought to try tea in pancakes! Thanks for sharing this unique recipe! 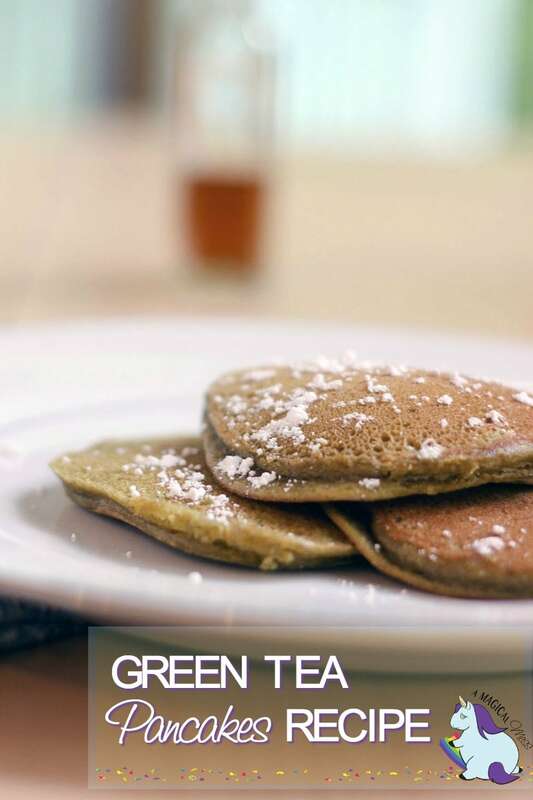 Thank you for sharing your recipe gor Macha Green Tea Pancakes. I can’t wait to try them. I would haave never thought of green tea pancakes. Being a pancake fan, I would like them. They look good. I think I would prefer powdered sugar too! 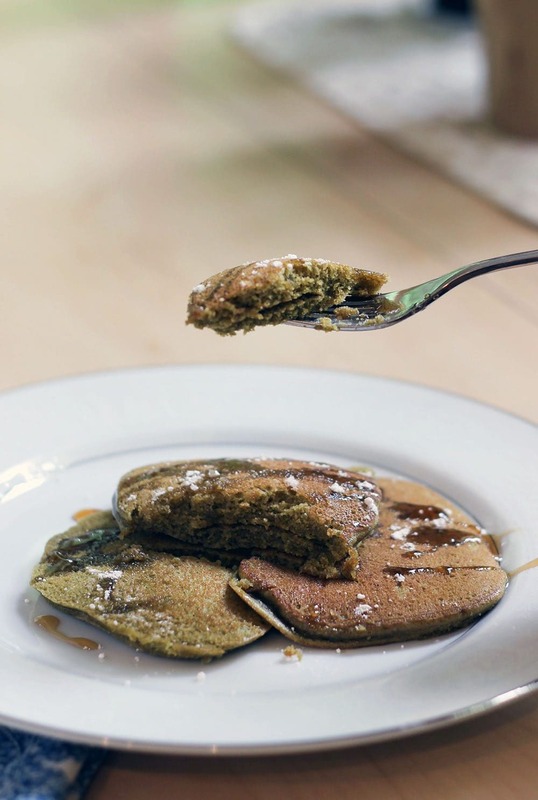 Matcha Green Tea Pancakes must be the healthiest kind of pancakes around! These sound delicious — will definitely have to whip up a batch this weekend! These sound good & healthy. These look delicious, will definitely have to try these. Because the Matcha Green Tea Pancakes Recipe looks as delicious as it does, I can’t wait to try this special recipe out. I only hope I will be able do as good as you did in the heartwarming photos. Haven’t tasted it before. Let me give a try… This would be a great one for Good Friday. Ohhh def going to give here a try! I think it’ll be good with some whipped cream and strawberries on top! ??? These look like amazing pancakes. 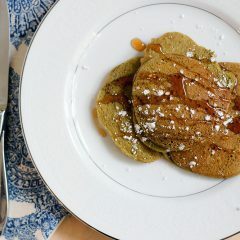 This is a great matcha green tea pancakes recipe JENNIFER, as you know I made it a short while ago and it was lovely. My husband was really wondered how it yummy))) Thx for sharing. Try it guys, worth it! That’s so awesome to hear!!! Thanks for reporting back! !